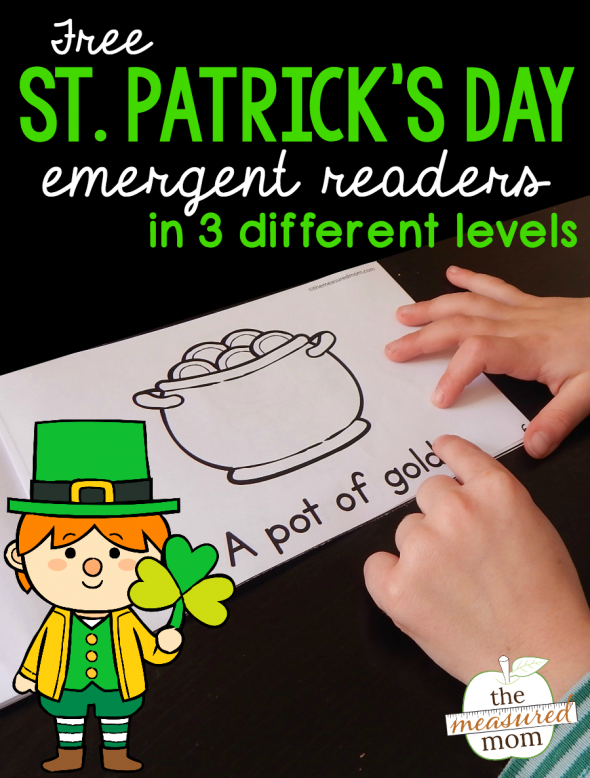 Today I’m sharing a set of three St. Patrick’s Day emergent readers! 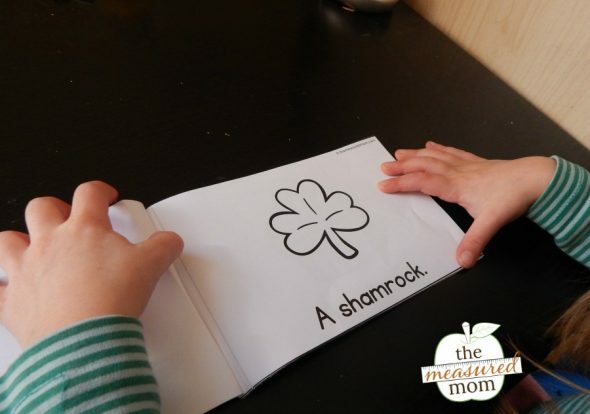 Recently a reader requested a set of St. Patrick’s Day Color Me readers. I’m getting these in with about a week to spare … I hope you can use them! As always, the first book in each set is extremely basic. I used the easy Level 1 book with my four-year-old. 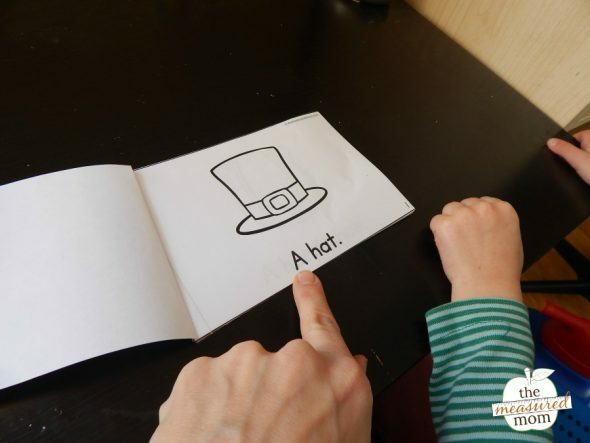 Since she knows the word “a,” she could easily pick up the pattern of each book and “read” using the pictures. But I had to tell her a few words – like shamrock. We went over this page several times. I helped her point to each word as she read. Finally, it was time to color! I see two pots of gold. I spy a colorful rainbow. I spy a shiny pot of gold. I spy a little horseshoe. I spy a tall hat. I spy a green shamrock. I spy a lucky leprechaun. Happy St. Patrick’s Day! As you can tell, the books get more challenging with each set. 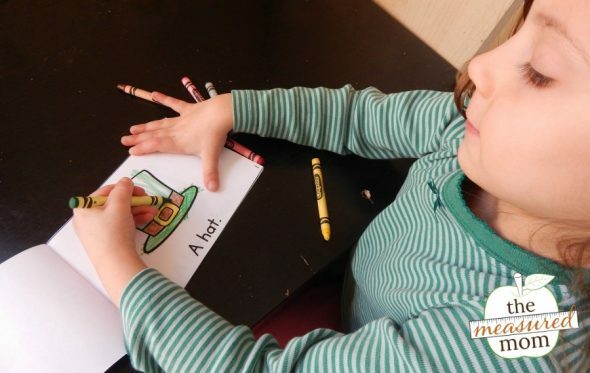 Choose the level 2 or 3 versions with students who can use the beginning sounds as clues when reading and/or are more adept at “reading” longer sentences. Why did I just put reading in quotes? 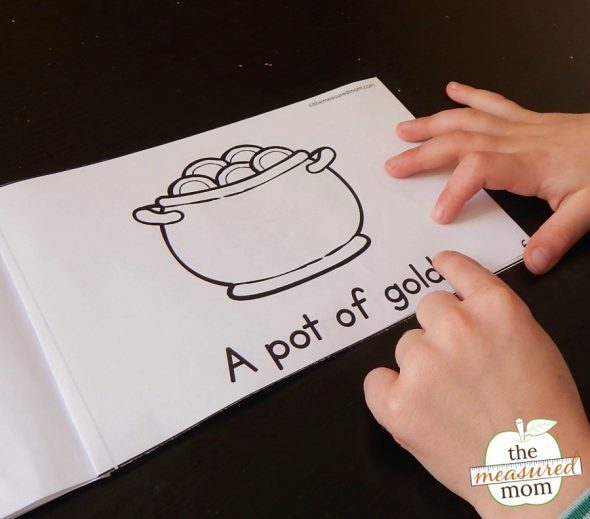 It’s because these books are perfect for kids learning the habits of readers – reading from left to right, matching a word from the mouth to a word on the page, using picture clues, etc. But many students who read them would not be able to read the words in isolation. This is A-okay! We all start somewhere. And building confidence is important for our pre-readers! I’m glad you can use these! You are an inspiration and life saver. Thank you so much for the kind words! I’m glad you can use these. I have been a retired teacher for thirteen years now . Your wonderful ideas make me want to go back to work! I take them to the PreK teachers at the school I attended when I was a school-ager. Thank you so much for sharing great material that you have used in your teaching career. I am a Special Ed Paraprofessional and I print a lot of your worksheets, because my students learn differently then regular ed students.The teacher I work with also loves the stuff I have printed off. My students are starting to read and they have never read before. I got a lot of great ideas from you on how to sound out words. I’m so glad I came across your site. Information you sent out for March is great. Thank you so much. Keep it coming. Thanks for that suggestion, Jeanna! Unfortunately, I’m pretty backed up these days and don’t have time to make small edits. You’re welcome to edit them as you like as long as you don’t share the files with anyone. 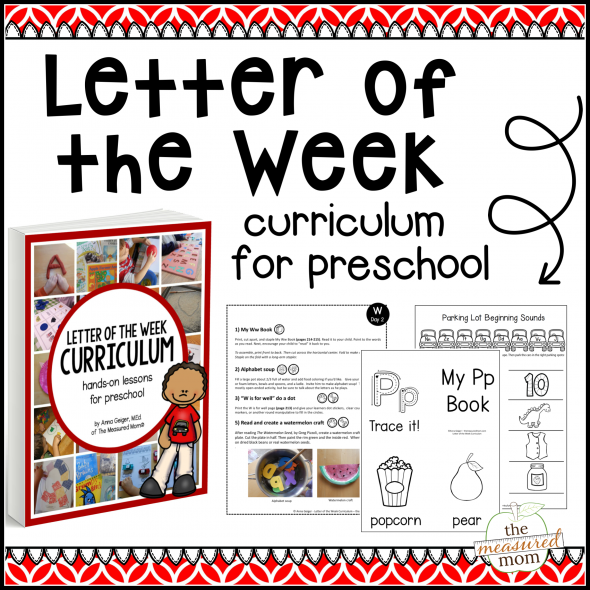 The printables are really great and creative.it will help kids in understanding concepts better.